How Good Want to know if your food is sustainable, wholesome, and honest? 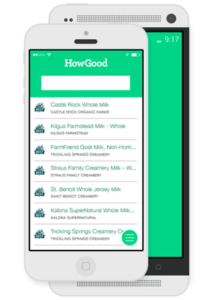 HowGood helps you find foods you can feel good about with simple ratings backed by extensive research. Search or scan product barcodes to quickly access the HowGood database of over 200,000 food product ratings. 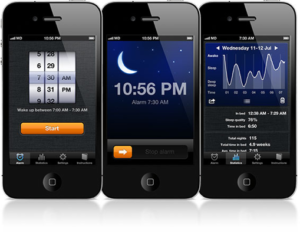 Sleep Cycle Sleep cycle tracks your sleep and wakes you up at optimal time. All you do is set the alarm for when you want to wake up and place it face down on your bed next to you.From there it tracks your movement during the night to determine the best time within a 30 minute window of when you set the alarm to wake you up so you are feeling refreshed for the day. 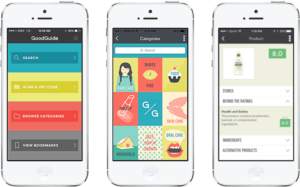 Seven App Feel like you are too busy to go to the gym? New to fitness and working out? 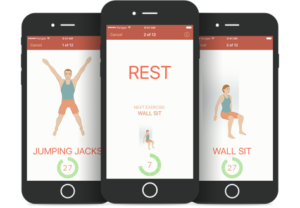 The Seven App is a fitness app that provides a 7 minute workout (no equipment needed) that will have you breaking a sweat and feeling the burn every time! Good Guide This barcode scanning app tells you all you want to know about how green the product is. This is a great app for those who want to know how socially responsible and eco-friendly the things they use are. 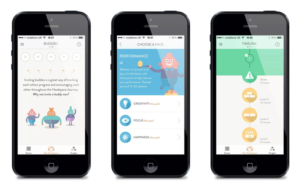 Headspace Headspace is meditation made simple. Try learning skills of meditation and mindfulness in just a few minutes a day and see what kind of impact it makes on your day.